When is the right time to call Heidi Hoch? It’s never too soon to begin planning. Commercial real estate can be more complicated than buying a home. Whether you are just getting started, are looking for a larger space, or want to open a second (or third!) venue, give yourself 6 to 9 months! If you are buying or building out, you’ll have the time to fully research the market and your opportunities. Sustainable growth should factor heavily into your decision, and that’s another area where Heidi delivers thoughtful guidance. Why do you need an advocate in finding Commercial Space? Even the playing field! Landlords and listing brokers lease and sell commercial real estate day after day year after year! You are not in the business of commercial real estate; you are in the business of knowing your business! Hire an advocate, like Heidi Hoch that has your back to even the playing field! Speaks on your behalf with attorneys, lenders, insurance agents, commercial brokers & agents and other professionals. Takes the time to review your lease and other details with you. Refers you to expert associates and professional vendors who also have your best interests at heart. Is it time to hire a Commercial Broker? You know it’s time to hire a Commercial Broker if you answer “Yes” to any of these questions! 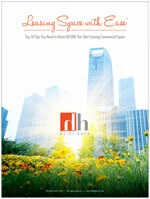 Are you are in a rush to find commercial space to lease or buy? YES! Is your lease is expiring and you need a new location? YES! You are not sure how much space your currently in and/or need? YES! Do you have a new to business and wonder what kind of space fits your needs? YES! You tired of leasing space, feeling victim to landlords & desire to own? YES! If you are tired of being ignored or games other Commercial Real Estate Brokers and Landlords play? YES! You will also receive my new blog updates with tips & trends in Commercial Real Estate. Copyright ©2013-2018 Heidi Hoch. Designed by	Templatesquare.